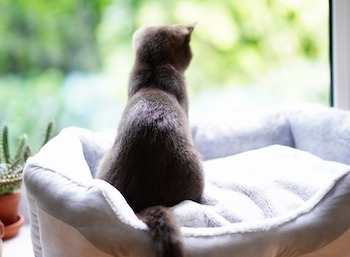 Whether your cat will be indoors-only, venture outside from time to time, or live outside exclusively, one of the best (and easiest) ways to protect their health is to vaccinate early — and appropriately — against preventable infectious diseases. Vaccines are a simple, inexpensive, and effective way to keep your kitten from becoming seriously ill now or even later in life. 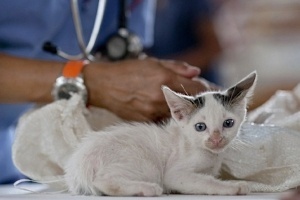 And, when it comes to rabies, having your cat vaccinated is also a simple and effective way to protect yourself and others in your home, since rabies can affect people, too. There’s a lot to know, do, and keep track of when you get a new cat, so here’s an overview of the shots your cat is likely to need during their first several months of life and beyond. Take a look at the information below, but you should still talk to your vet to make sure your cat is getting just the right vaccinations they need — based on their individual lifestyle, health, and overall situation — and that they’re getting them at the right times.